On Tuesday, the White House issued a statement on the terrorist attack in Normandy, France, in which a Catholic priest was beheaded by a follower of ISIS. While the statement, written by NSC spokesperson Ned Price, mentioned terrorism, it failed to mention Islam, ISIS or jihad. France and the United States share a commitment to protecting religious liberty for those of all faiths, and today’s violence will not shake that commitment. We commend French law enforcement for their quick and decisive response and stand ready to assist the French authorities in their investigation going forward. That’s it — no mention of Islam, jihad or ISIS. 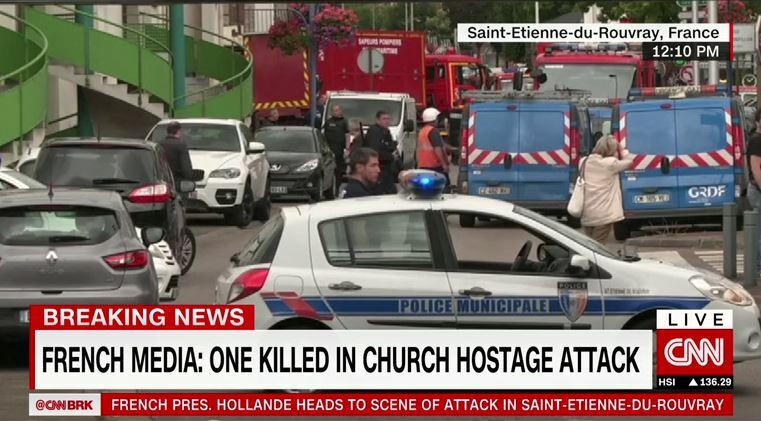 As we reported Tuesday, two ISIS attackers armed with knives stormed the church and were heard screaming “Allahu Akbar” and “DAESH” — a reference to ISIS. They murdered an elderly priest, slashing his throat to such a degree that he was essentially beheaded. A nun was injured so bad she was last reported fighting for her life.